NPHA members will meet on February 13 at the NPS Northeast Region offices between 10 am and noon to discuss topics ranging from NPS regional budgetary challenges to Healthy Food in Parks to expansion of concessioner services to meet changing visitor needs. NPS Regional Director Dennis Reidenbach will lead the agency team, expected to include both deputy regional directors and other key regional officials. 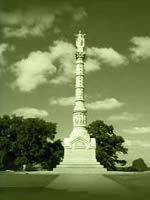 NPHA members with operations at Acadia, the Statue of Liberty, Gettysburg, Shenandoah and other park units will participate. We are also delighted that NPS Associate Director for Business Operations Lena McDowall plans to participate. A list of participants will be released soon.